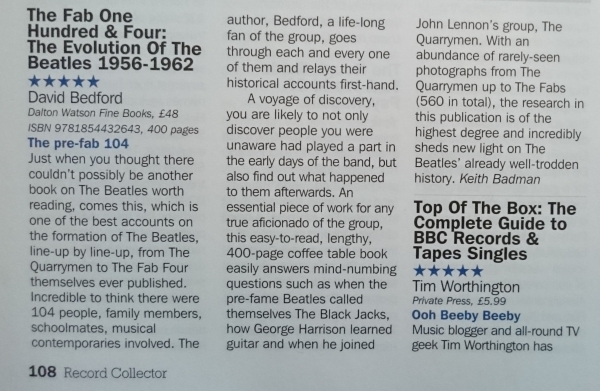 “At last count there were 7 billion books about The Beatles in print. Is it possible to produce another one that becomes a must read for all Beatle people? You betcha! 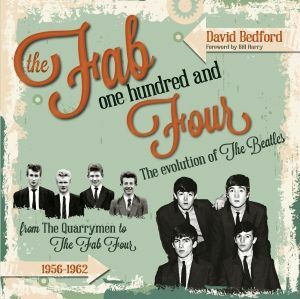 David Bedford's remarkable tome, The Fab One Hundred and Four - The Evolution of The Beatles should be on every bookshelf. 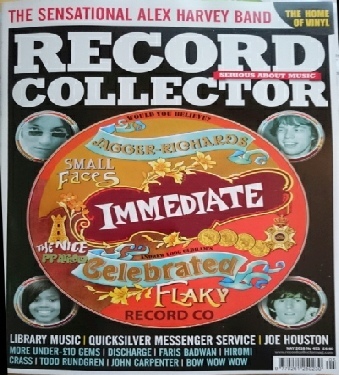 400 glorious pages of amazing stories and unseen photos taking the story from The Quarrymen to The Fab Four and so much more.